Where Can I Find Acura TLX Sedans for Sale Near Me? 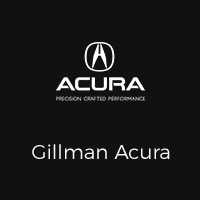 Are you asking yourself, ‘where can I find new & used Acura TLX Sedans for sale near me?’ Gillman Acura offers an exceptional selection of new, used & certified pre-owned Acura TLX Midsize Luxury Sport Sedans for you to browse and test drive in Houston, TX. Why Opt for the Acura TLX? Sport Utility Cars may have grabbed the luxury automotive limelight in recent years, but the Acura TLX luxury sport sedan is positioned to take center stage. From rooftop to wheels, the 2018 TLX has been fully revamped with one goal in mind– perfecting meticulously designed performance. You’ll find a paradise of luxurious qualities and benefits within the TLX. From Apple CarPlay and Android Auto smart phone connectivity suite to a wireless charger, surround-view camera, touch-screen infotainment display and much more, the TLX is the manifestation of automotive luxury. The center of the TLX’s drivetrain is a combo of expertly crafted engines designed to leave a long lasting impact. Whether you pick the 2.4-liter 206 HP inline 4-cylinder engine or the 3.5-liter 290 HP V6, Acura’s engineering expertise is on full display. Combined with an 8-speed dual-clutch automatic transmission and Acura’s precision All-Wheel Steer (P-AWS) or our Super Handling All-Wheel Drive (SH-AWD) the only trait that doesn’t come standard with the TLX is letdown. The TLX has been allocated the NHSTA’s 5-Star overall safety rating*. This ranking is due in no small part to our Advanced Compatibility Engineering (ACE) body structure. With the add-on of Acura’s state-of-the-art safety tech, we’ve created the TLX second-to-none when it pertains to your safety and security. Stop by Gillman Acura today to test drive a new, used, or Acura certified pre-owned Third-Row Luxury SUV in Houston, TX. Our knowledgeable team of Acura specialists are standing by to help you find the perfect vehicle. View our inventory online, stop in, or call (888) 355-6443 today to learn more. We look forward to serving you! *Government 5-star safety ratings are part of the us department of transportation’s new car assessment program (www.safercar.cov). *Model tested with standard side airbags (SAD).